Why Synthetic Grass Perth for your garden, courtyard and balcony? Why Eco Synthetic Grass Perth for your garden? Question: Is this real grass or synthetic grass Perth? What’s your answer? Well if you said real grass, then it got you fooled. This is not real grass, rather it is artificial grass aka fake grass. Yep! You’ve read it right. Gone are the days when you can easily spot if the grass growing at your neighbor’s yard is real or not. Technology has made it look so real, you’ll never know. Even your pets find it difficult to see the difference. Just watch this dog play tough on the artificial lawn of this fellow. What are the benefits of choosing synthetic grass Perth? Year round beautiful green lawn that is realistic in appearance and touch. That’s heaps of advantages for you and your family. So what are you waiting for? Get your free quote, today. Why choose Eco Synthetic Grass Perth? Eco Synthetic Grass is the artificial grass of choice for Perth landscapers, builders, gardeners, designers, architects, local governments, schools, childcare centres, retailers and homeowners. We have been supplying and installing synthetic turf in Perth for over 10 years. 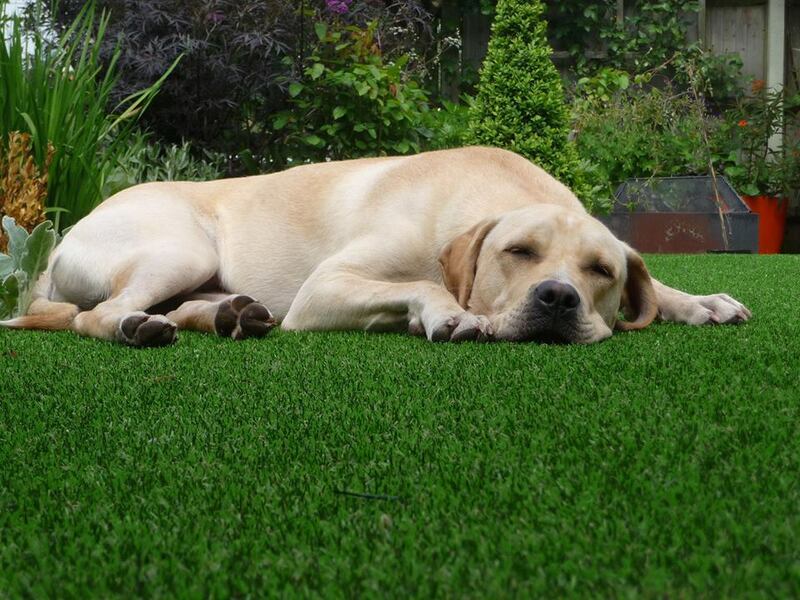 Moreover, all of our products are manufactured to the highest standards using the latest materials and synthetic turf technology to replicate real grass. What makes Eco Synthetic Grass Perth different from the competition? Every product in our range is designed to reduce heat soak. This makes it cooler to walk on. The majority of our productsÂ are also manufactured using the latest PU backings for added strength and flexibility. This also aids in minimising shrinkage. We have extensive experience in the synthetic turf industry and can recommend the right product to suit your home, sports, or business requirements. Contact us today for your synthetic grass Perth needs.